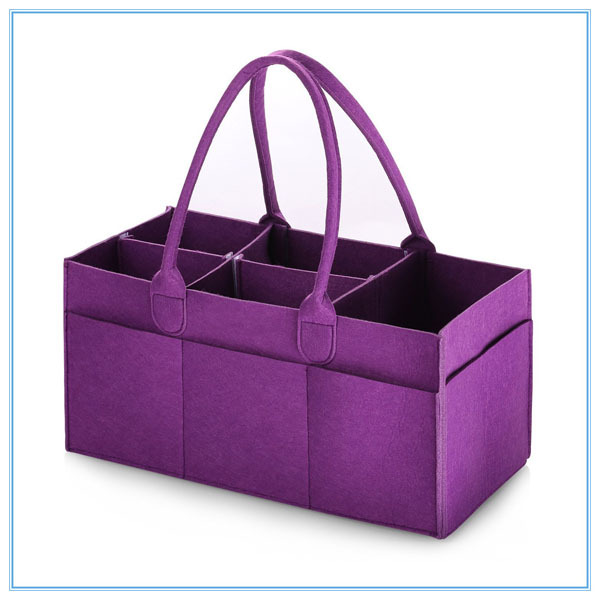 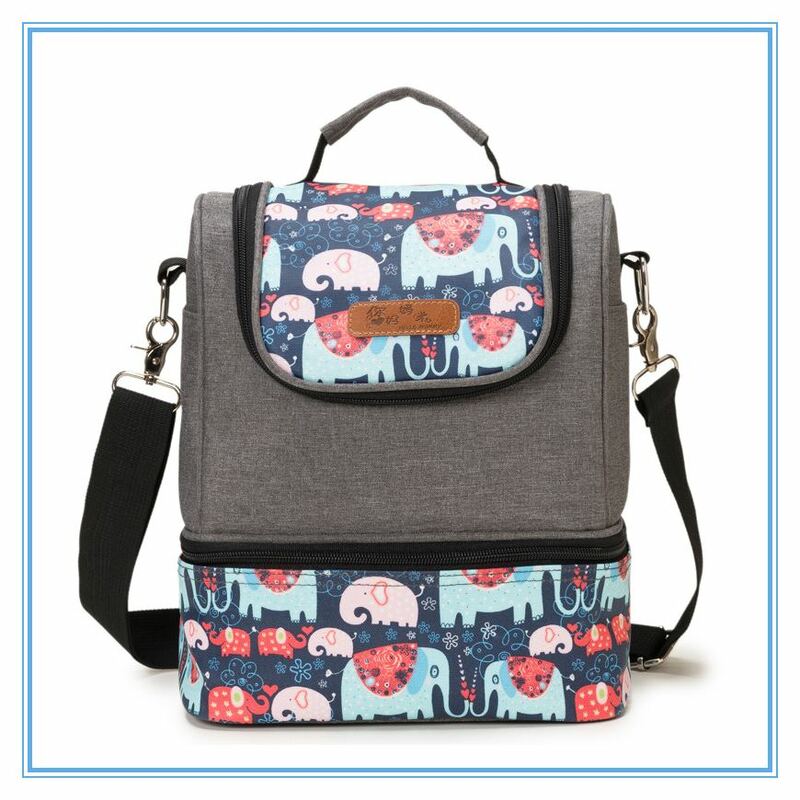 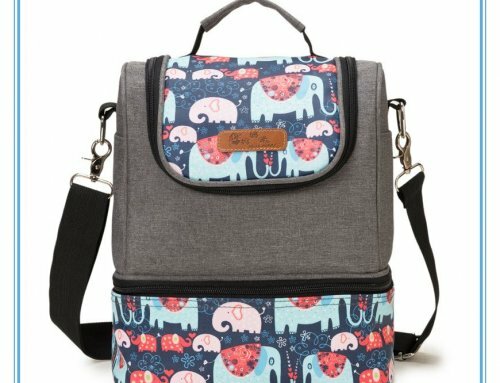 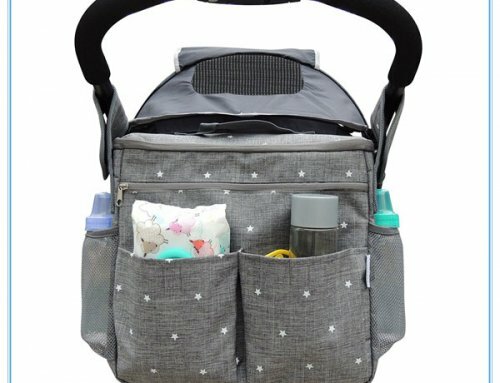 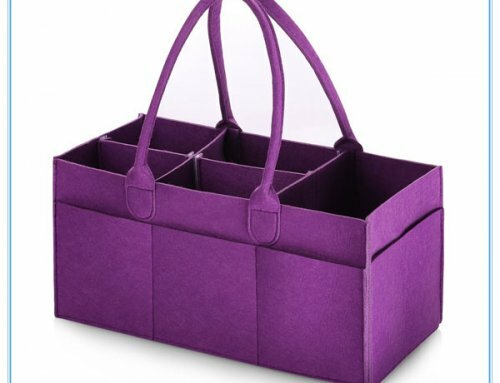 it holds up to 3 beverages or stores diapers, wipes, bibs and powdered formula. 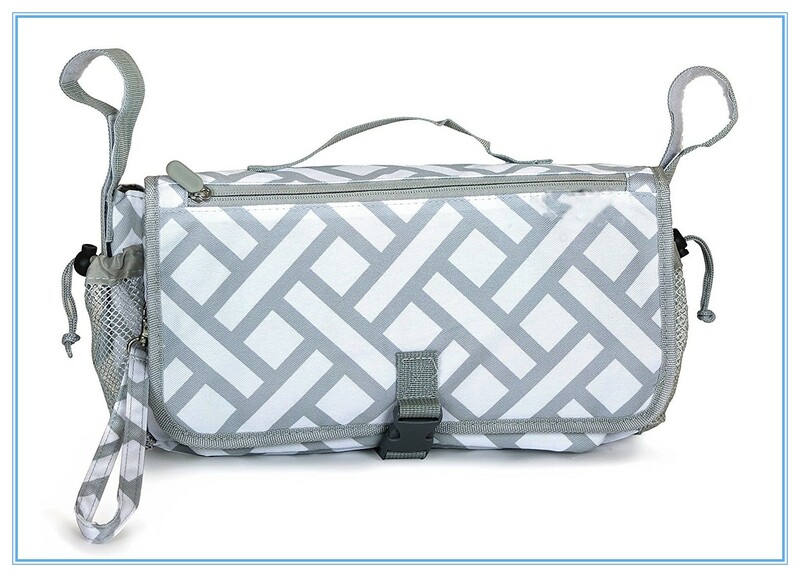 A handy D-ring lets you use a carabiner clip to keys your keys or a pacifier within easy reach. 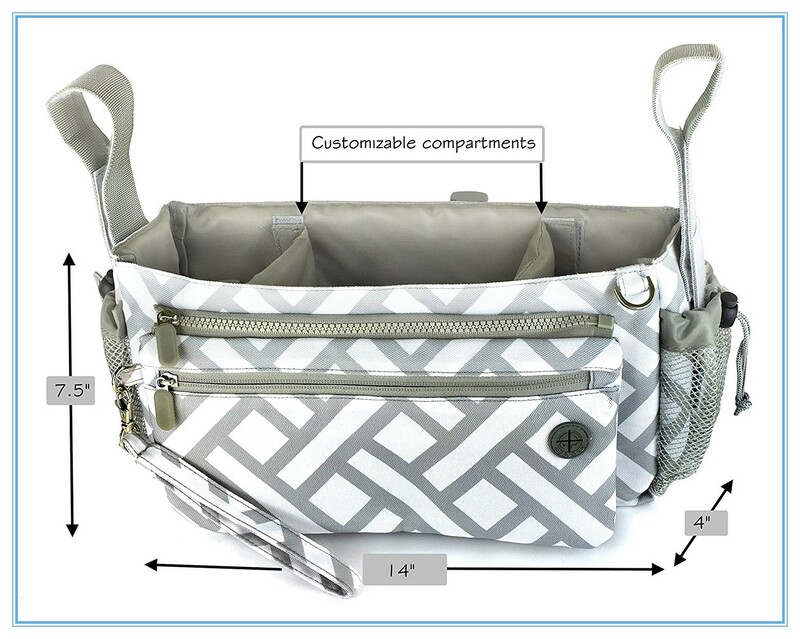 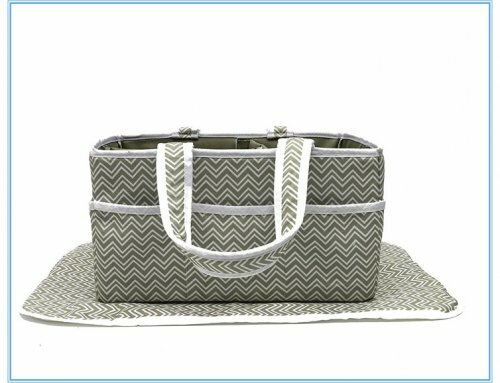 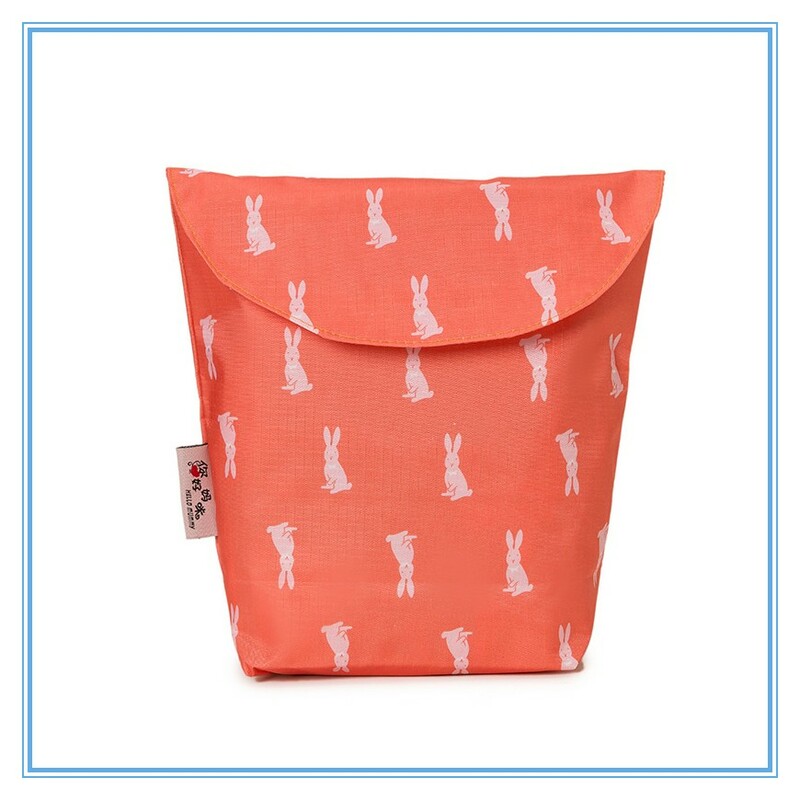 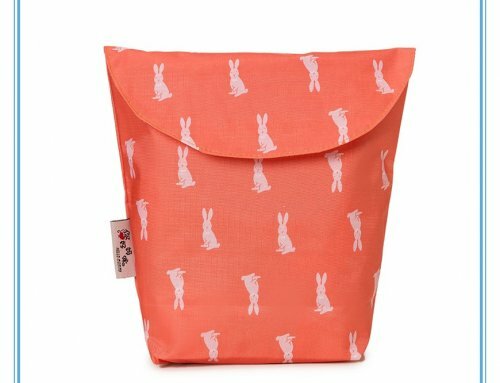 converts to a versatile tote bag or mini diaper bag. 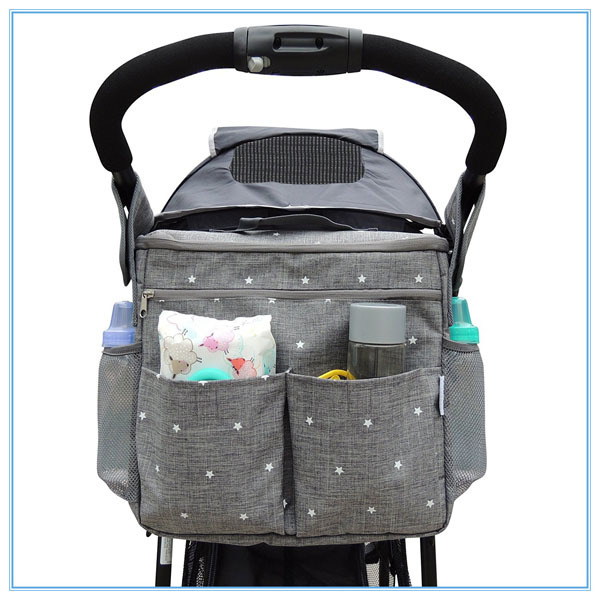 Expanding mesh side pockets hold bottled formula, while other compartments are roomy enough for baby wipes, snacks, your smartphone and cash.